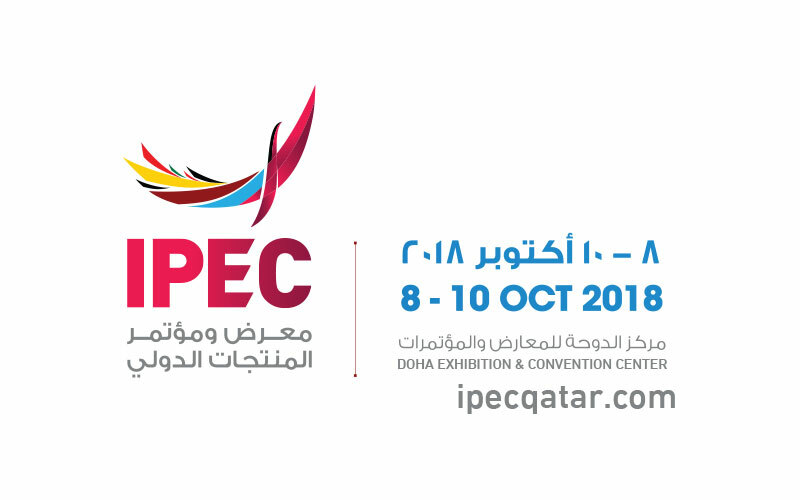 The upcoming International Product Exhibition and Conference (IPEC) will play a vital role in promoting trade between Qatar and its partner countries, according to government entities and industry insiders. In a statement released on Saturday, the Ministry of Economy and Commerce (MEC) said the exhibition would shed light on laws and regulations governing investments as well as the incentives that Qatar offers to investors. A first-of-its-kind in Qatar, the exhibition will host a Qatari pavilion that will bring together representatives of several ministries and government bodies as well as a number of local companies under the umbrella of Qatar Chamber and Qatar Development Bank. The ministry’s participation in the exhibition reflects Qatar’s keenness to strengthen economic cooperation and bolster bilateral trade with its key partners around the world while contributing to efforts to bolster the role of the Qatari private sector in building effective partnerships with counterparts around the world, the statement said. During the exhibition, the ministry will also outline key economic sectors that offer promising investment opportunities as well as legislative incentives aimed at regulating the investment sector. The ministry will also highlight the investor-friendly business environment and the solid economic growth rates as well as the state’s efforts to enhance coordination and cooperation among all government agencies to promote an attractive investment environment. At the pavilion, the ministry will review the terms and requirements for the getting commercial record, commercial licenses and will familiarise people with the smart electronic services it offers through its website and mo bile app. The exhibition, which is attended by several representatives from Kuwait, Oman, Jordan, Algeria, Morocco, Tunisia, Turkey, Iran, Pakistan, Azerbaijan and Tajikistan, presents a key opportunity to strengthen Qatar’s relations with its leading partners from around the world, the statement said. Meanwhile, a number of top businessmen and representatives of Qatar’s private sector highlighted the importance IPEC in enhancing trade ties between Qatar and countries across the world. They said that the exhibition will open up new horizons for diverse businesses in Qatar and allow investors direct access to projects in the country. In an interview with Qatar Tribune, Qatar Chamber Board Member Mohammed Mehdi al Ahbabi said the exhibition will find more possibilities of investment and commercial partnership with participating countries. To be participated by 14 countries, Ahbabi said, it will be one of the largest exhibitions in the world. “They will not only take part in and display their products, but will also provide opportunities to Qatari businessmen to partner with them,” Ahbabi said. “No doubt, all economic conferences and exhibitions in Qatar have outcomes, and we have good expectations on the outcomes of this exhibition as well. It will also have a positive impact on Qatar’s reputation in the international markets and will provide plenty of opportunities for the private sector,” he said. 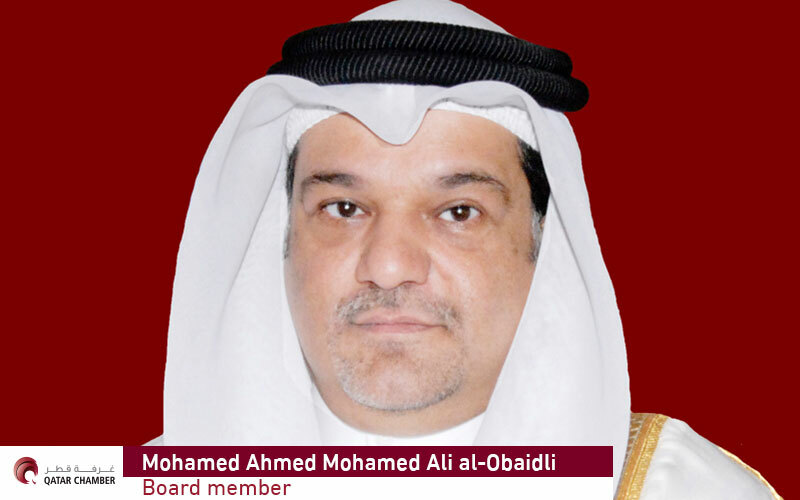 Projecting Qatar as an ideal place for investment, he said,”Qatar has solid infrastructure of airports, marine ports, free zones and latest legislations are in place to ensure that foreign investments are protected in the country,” Ahbabi said. Excuding confidence about the future of investment in the country, he said Qatar has always been committed to its international agreements and contracts. “Qatar is now giving priority to become an exporting country and is focusing on industry and agriculture. 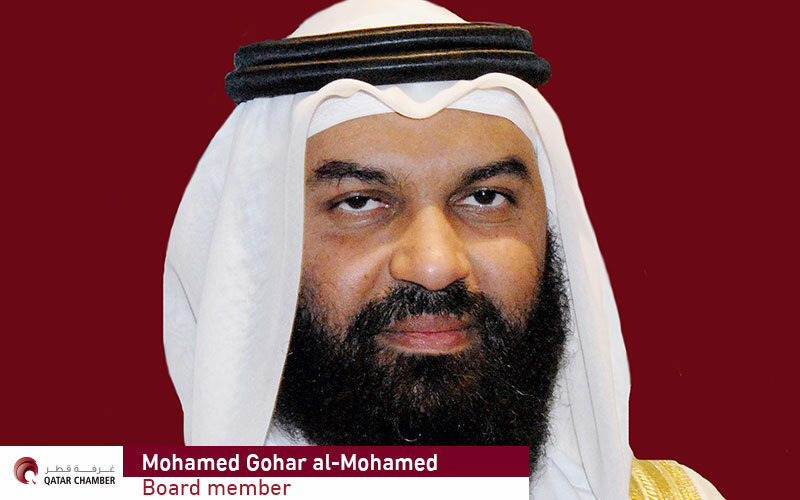 We now have a strategy to approach international markets with made in Qatar products,” he said. “For instance, the agricultural sector in Qatar is booming. If it keeps going on the same pace we will reach to a point where we will have surplus and start to export,” he said. Qatar Chamber Board Member Sheikh Hamad bin Ahmed bin Abdullah al Thani, who is also a member of organising committee of the conference, said the exhibition is a celebration of Qatar’s strong relations with its prominent partners from around the world and expressed hope that it will contribute to enhancing trade ties with participating countries and open new horizons for Qatari investors to enhance their investments in these countries. 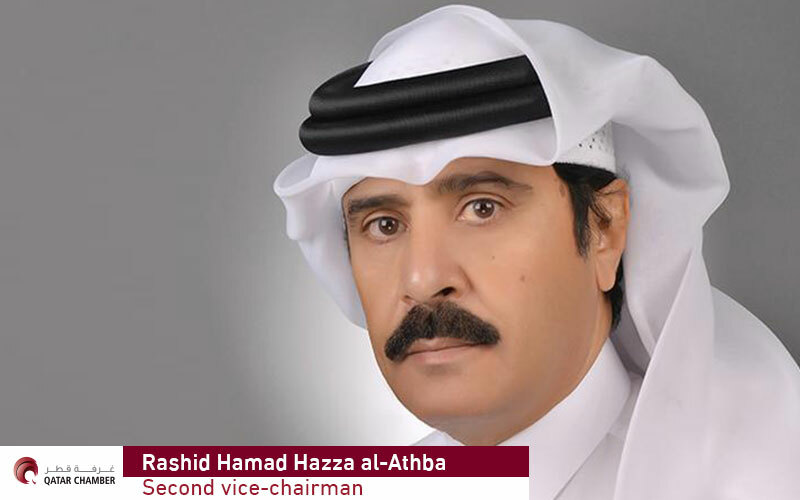 Qatar Chamber Second Vice-Chairman Rashid bin Hamad al Athba said the conference would be a proof that the ongoing blockade has failed to achieve its goals of weakening the country’s economy. He stressed that Qatar remains an attractive investment destinations for foreign capital. Instead of being affected by the blockade, he said, Qatar has become more powerful. He added that Qatari companies participating in the exhibition will benefit from exchanging expertise with their counterparts in 11 countries participating in the event. Qatar Chamber Board Member Mohammed bin Ahmed al Obaidly said the exhibition will provide an important opportunity to introduce companies to Qatar’s infrastructure development projects in preparation for the 2022 World Cup. He added that it will also be an opportunity for major companies from participating countries to cooperate with their Qatari counterparts by entering into commercial and economic partnerships and alliances that serve both sides. 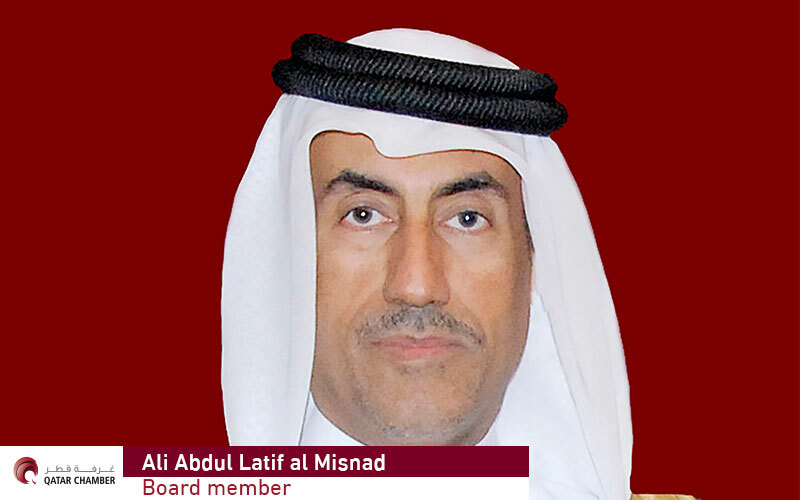 Qatar Chamber Board Member Ali Abdullatif al Misnad said that the conference will discuss the promotion of economic cooperation among the participating countries, especially with regard to sustainable economic development. 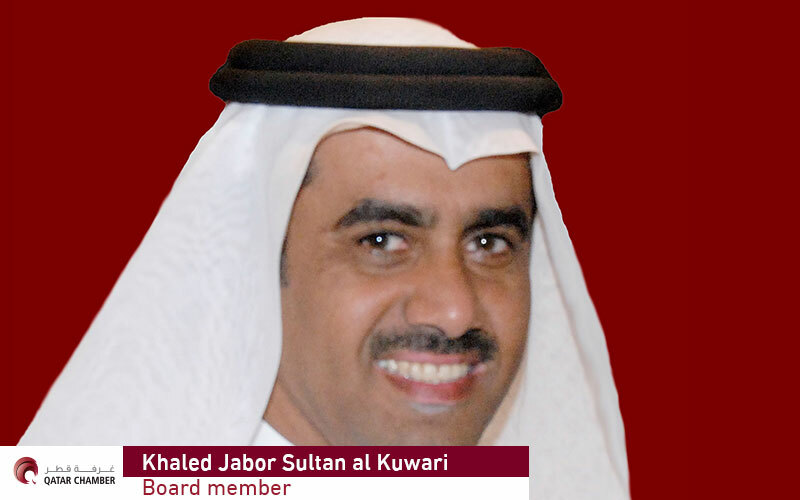 Qatar Chamber Board Member Khalid bin Jabor bin Twar al Kuwari said that the conference will enhance communication between Qatari companies and the ones participating from abroad, which in turn would contribute to increasing trade exchange between Qatar and these countries. He added that the exhibition will help Qatari companies promote their products and enter into commercial deals and cooperation agreements with companies from different countries in the Middle East and North Africa.